Why it’s happening: Much like granite did, quartz and quartzite are predicted to be kitchen favorites until another material comes along. But other green laminate options are gaining in popularity, and they’re no longer just for the budget-minded consumer.How it will impact you: A new countertop can make a big difference in the appeal of a room. Sally Chavez, senior product designer at Wilsonartin Temple, Texas, which manufactures engineered surfaces, says laminate options that mimic stone, wood, distressed metal, and concrete are gaining in popularity. But she recommends avoiding designs that include the “spots and dots” or speckled patterns from decades past. Some newer countertop options offer an additional perk: They lessen the time and cost of installation and also eliminate the need to discard the old countertop. Trend Transformations, an Italian manufacturer with a U.S. manufacturing facility, incorporates recycled granite, glass, and even seashells in its surfaces, which are installed over an existing countertop. Installation can be finished within a day, and prices are competitive with quartz and quartzite. 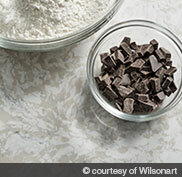 Because these countertops are less porous than traditional stone, they’re also more resistant to stains and scratches.